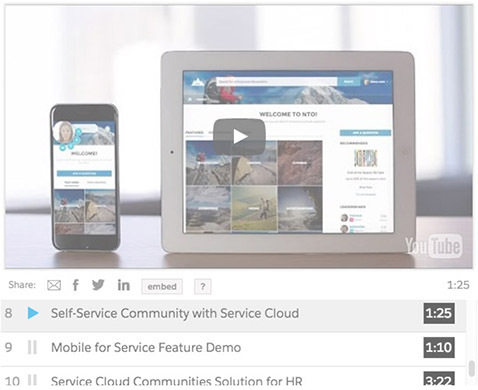 Watch the Service Cloud Lightning demo. HELP YOUR CUSTOMERS FIND ANSWERS FAST. Increase case deflection by 31% and free up time for your agents to focus on high priority cases with a self-service solution that goes beyond traditional website portals or discussion forums. With self-service communities, customers can collaborate with peers, access knowledge articles, and, if necessary, even create a case that support agents can respond to right from the Service Cloud Lightning Console.